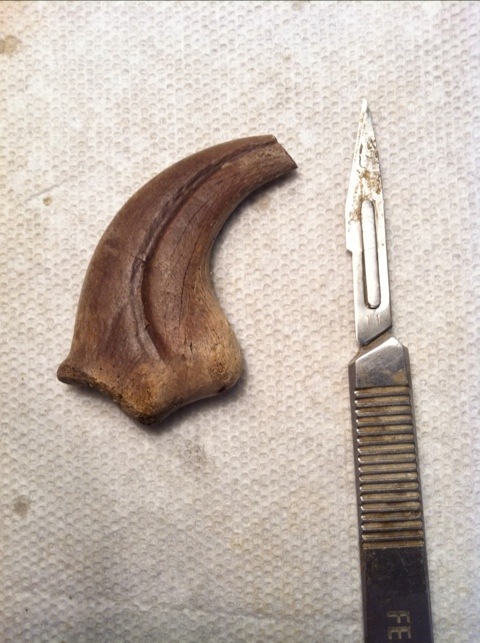 The goal of this blog is to show the process of fossil preparation, give up to date news on paleontological finds in the world, and answer any questions that anyone has related to the ancient world! The site is meant be educational and to inspire others to discover and learn about a time before our own. Thank you for your interest in the site and enjoy! 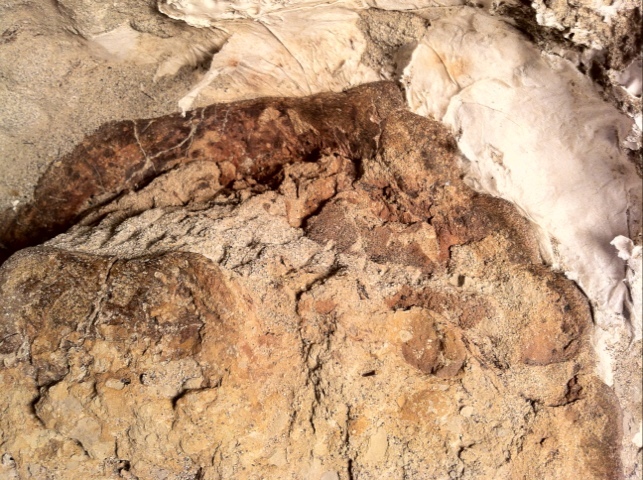 And after a much too long hiatus this dinosaur blog has come out of extinction! Over the last few weeks the volunteer program has exploded in numbers and we are getting through literally tons of material. 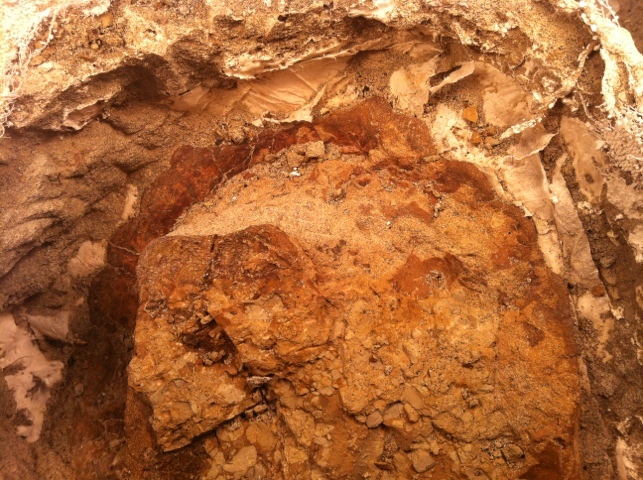 The pictures you see below are a project being worked on where fragments from the field are being glued back together. A volunteer must test each side of each piece together to see if they fit. 3d puzzles can be extremely difficult, especially when we are unsure if we have all of the pieces, or even if they come from the same animal! 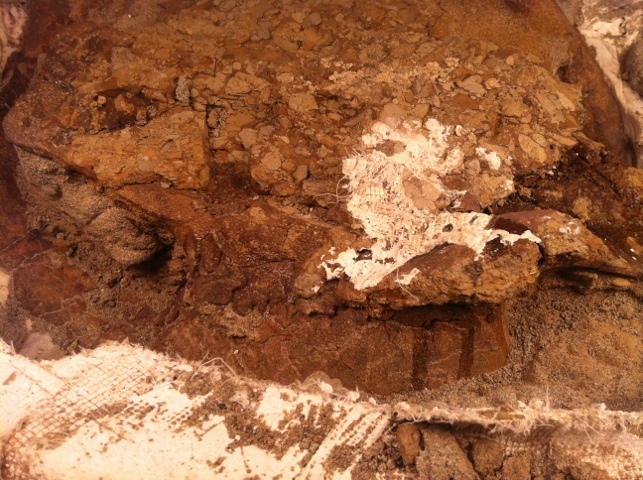 So in last weeks excavation we found and exposed more of the turtles shell! 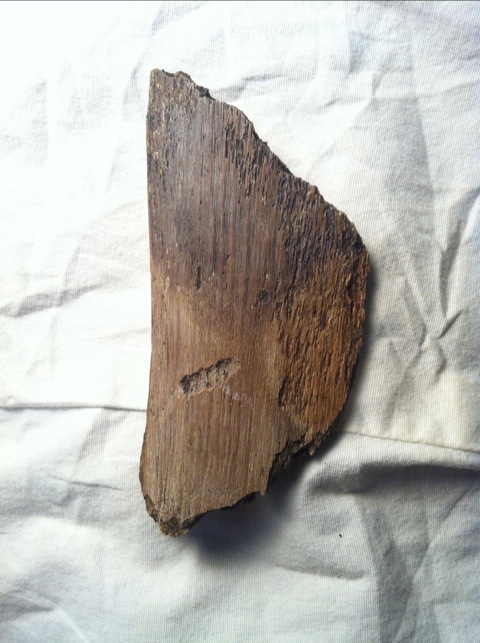 Another exciting find with this is the possibility of a plastron, the underside of the turtle shell that is a bit like a breastplate! 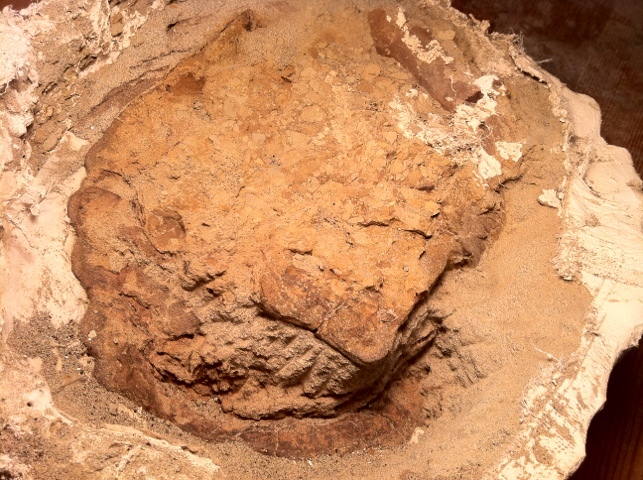 A femur or humerus may also be present, but the sediment covering it and my lack in experience with turtles leaves it up to question for now. 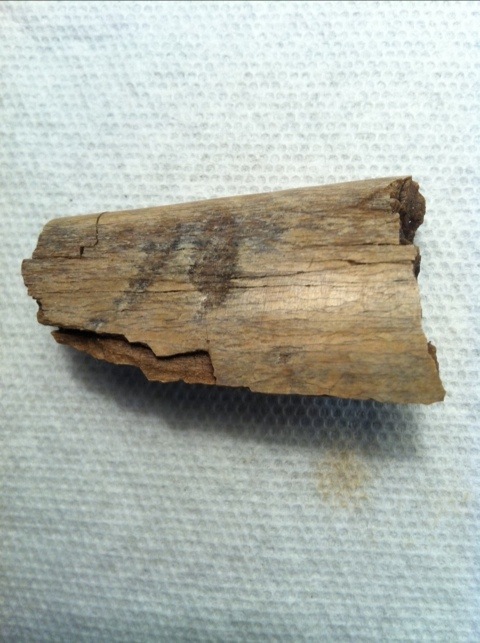 Let me know what you think of the fossil and if there is anything else you want to see from the lab! Back in the lab again this week with Several volunteers. 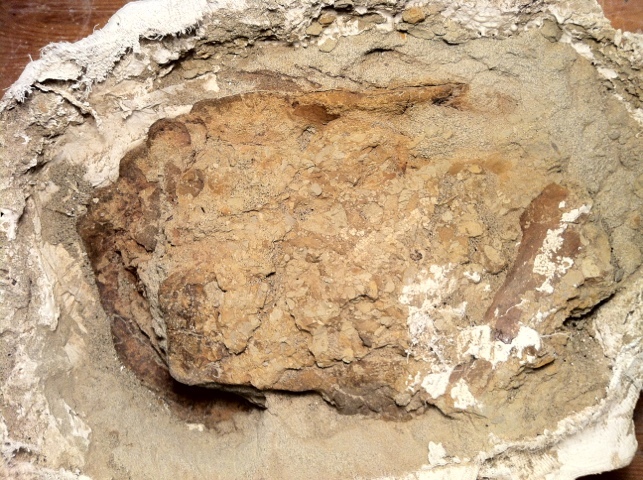 Work began again on the fossil turtle, which has produced a shell! 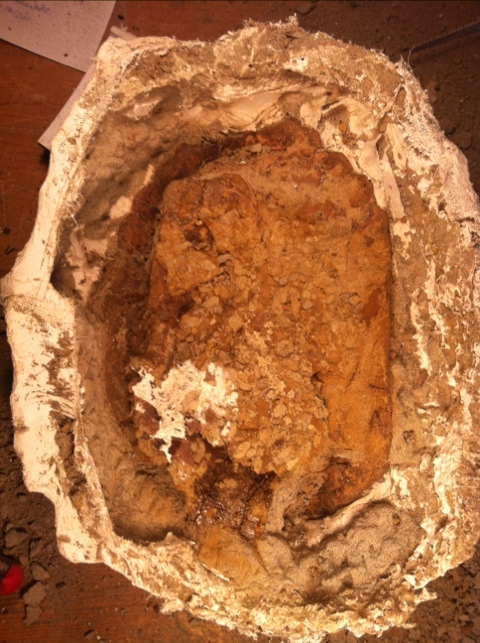 So far the shell looks fairly complete, and is the outline of it can be seen in the pictures below. 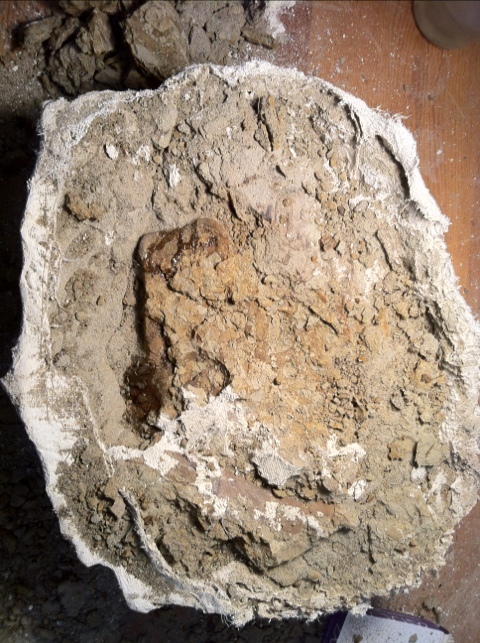 A limb element seems to be sitting on top of the mass, so there is hope for more bone in there as well. This is the first turtle I have worked on and it’s really starting to get exciting! If you have any questions, comment below! It’s another week in the lab and everyone is busy working on their projects. 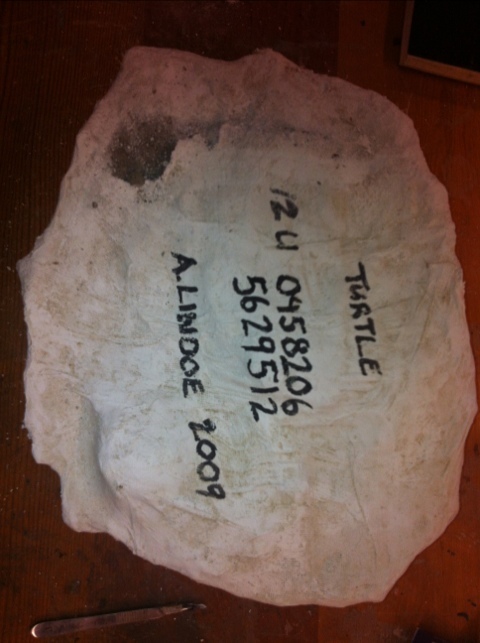 This week a turtle specimen was started that I will be posting updates on weekly. More info news to come next week! 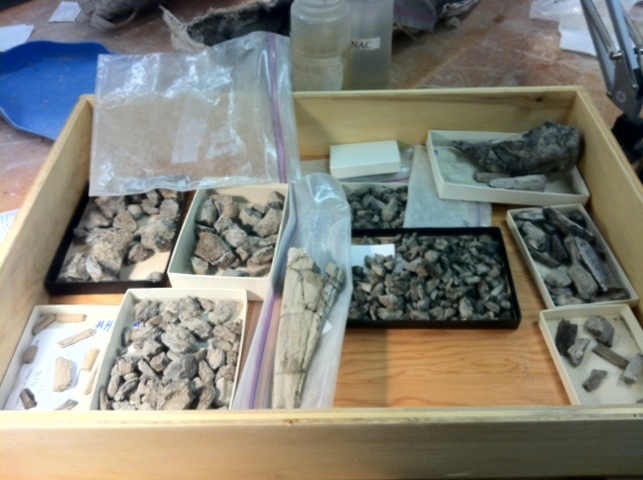 It’s prep day again and the crew is back to work on the fossils. 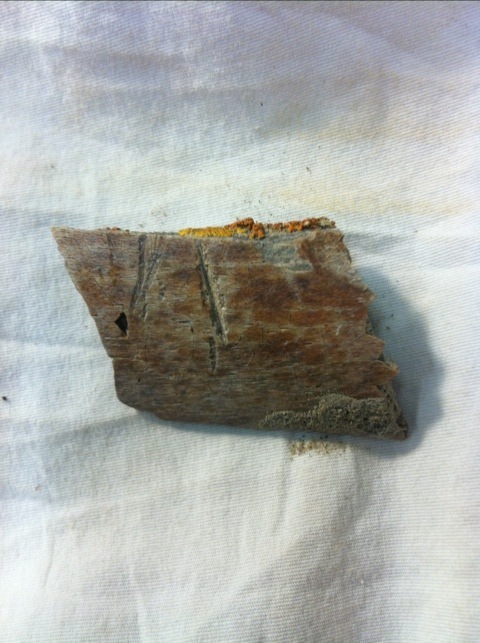 Here is an image of a bone fragment from an Edmonton bonebed a it’s obvious when people say that some fossil preparation is like putting together a puzzle. 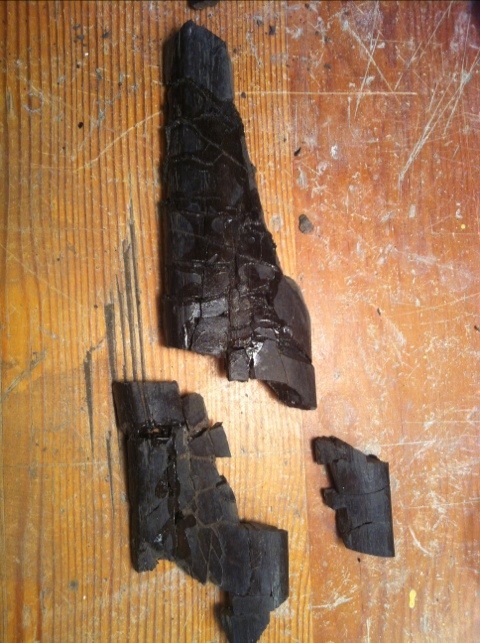 This fossil should be glued together by the end of the day and a follow up picture will follow. Enjoy! 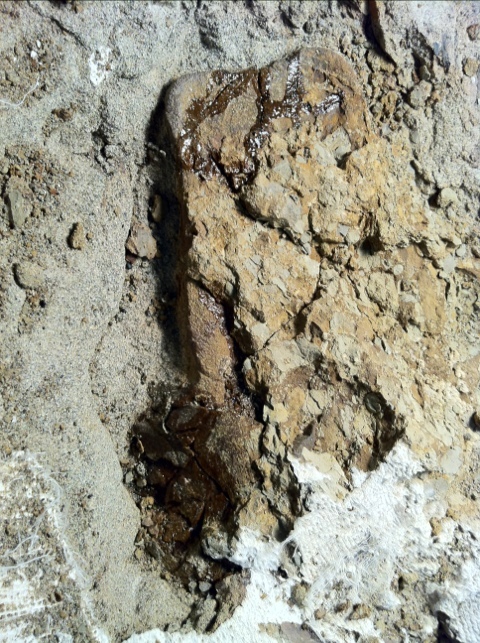 This is one of several ribs that were worked on this summer from a Theropod called Daspletosaurus. This cretaceous predator could reach lengths of approximately 8-9 meters and lived between 77-74 million years ago. I will be posting more pictures of other ribs up soon, but for now enjoy these few pictures and have fun pondering. How do you think it injured itself? post your answers in the comments below! 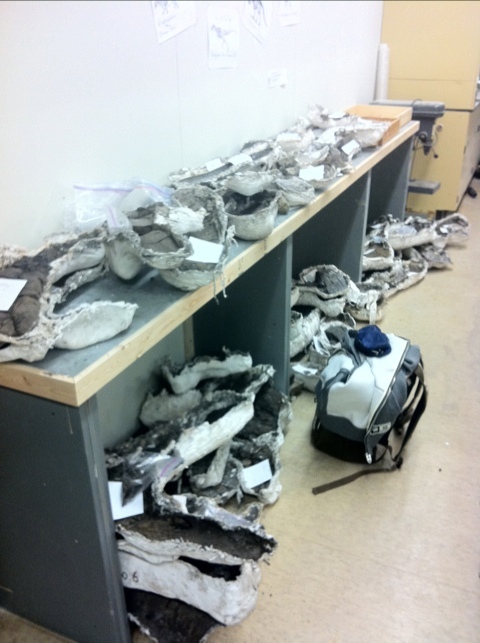 With the fall semester at the university of Alberta in full swing, the paleontological society on campus has once again started up it’s volunteer prep program! This program allows anyone with an interest in paleontology to come in and work on fossils that were collected in the previous season. No experience is necessary and we have volunteers from a variety of backgrounds. 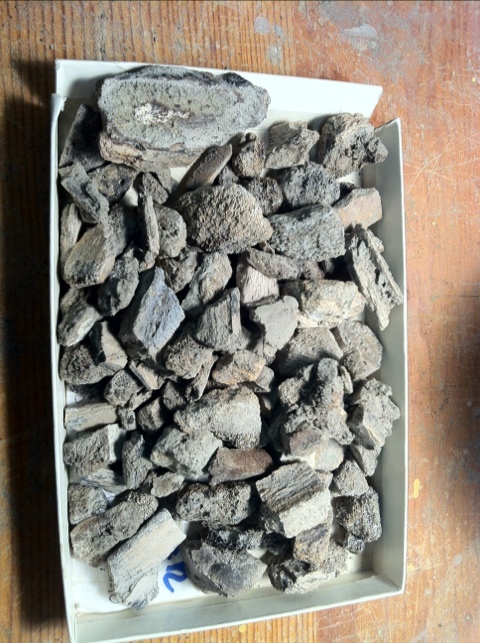 This year they are working on Edmontosaurus material from the Edmonton, Alberta area. The first picture below is just a sample of how many projects are being worked on by the volunteers. 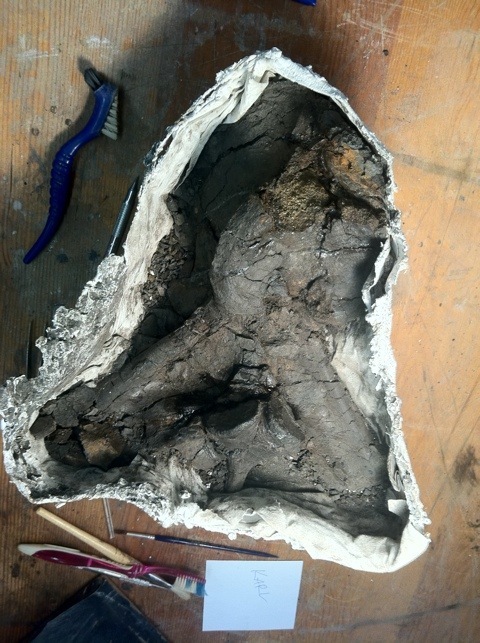 The second is of a vertebra being works on by one of the volunteers! This is an amazing program for anyone interested in the science and preparation of dinosaurs. If you would like more information, let us know. A link to their Facebook group will be posted shortly. 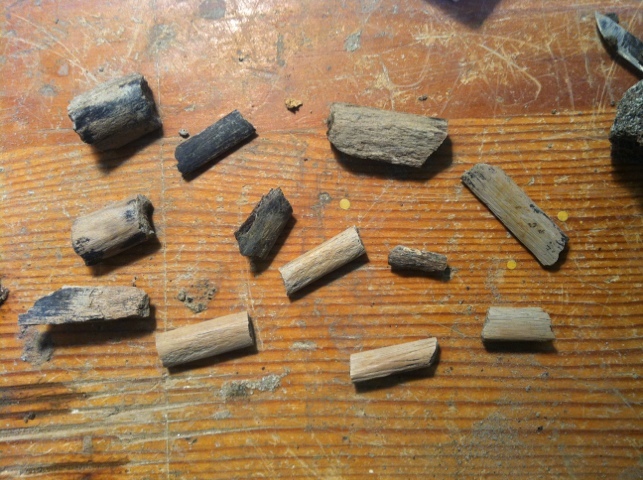 These bones I worked on quickly today show a rib fragments that have evidence of being preyed upon. 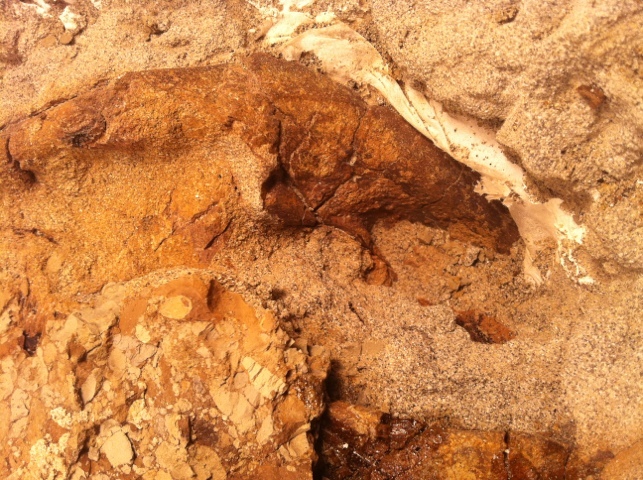 These fossils have an impression of a scar left by a predatory dinosaur!